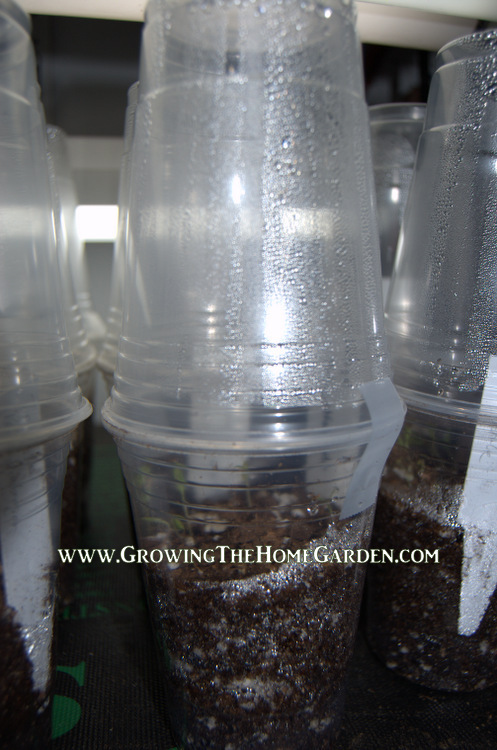 One little seed starting trick I have in my bag of gardening tricks is to start seeds in mini-greenhouses made of plastic cups. I shared a picture of this about 2 weeks ago on the Facebook page and I thought today I would share with you the progress of the seedlings. 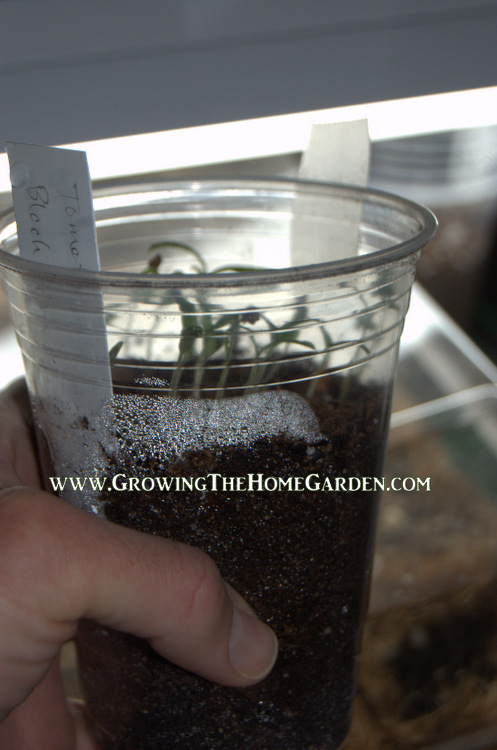 This is a very easy way to start some seedlings. Just find two plastic cups, one of which must be clear to allow light through. The plastic cups will cost you less than $3 or could even be free if you collect them after a family gathering or party. If you are re-purposing the cups make sure they are clean. Fill the bottom cup with a seed starting mix and water. Put your seeds in the cup and cover the seeds with an appropriate depth of soil then add a little bit more water. Don’t add to much water – we don’t want the seeds to rot. Cover with a clear cup and tape the sides. Once seedlings have sprouted you can take the tops off. When the seedlings have grown their first set of true leaves you can transplant the plants to individual pots. 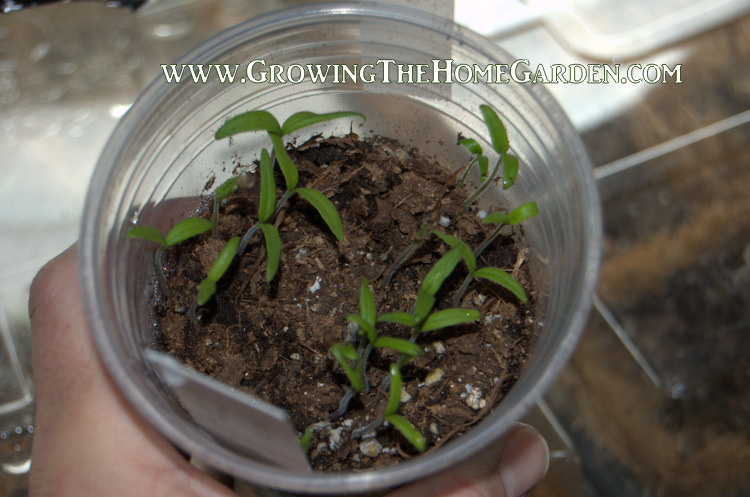 You can grow a lot of seedlings in a very small space with this method. Make sure there is a light source around for the plants to use once they are germinated. Some plants need light to germinate so for them don’t cover them with soil or if you do do so lightly! 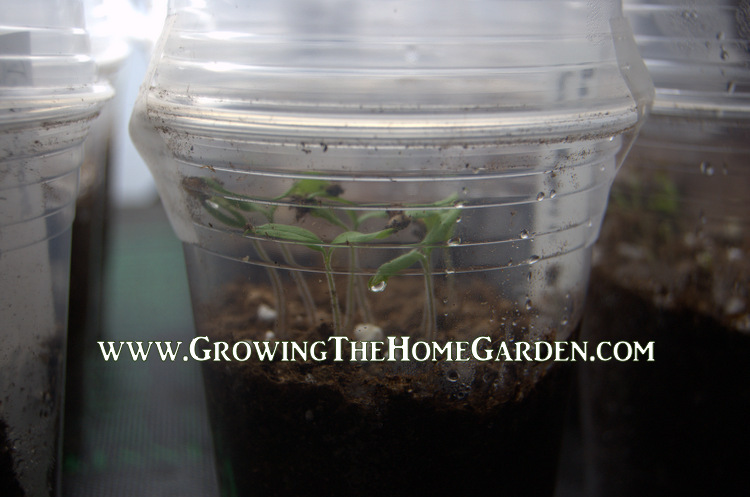 The plastic cups are like terrariums that keep the moisture inside for the seeds to use. 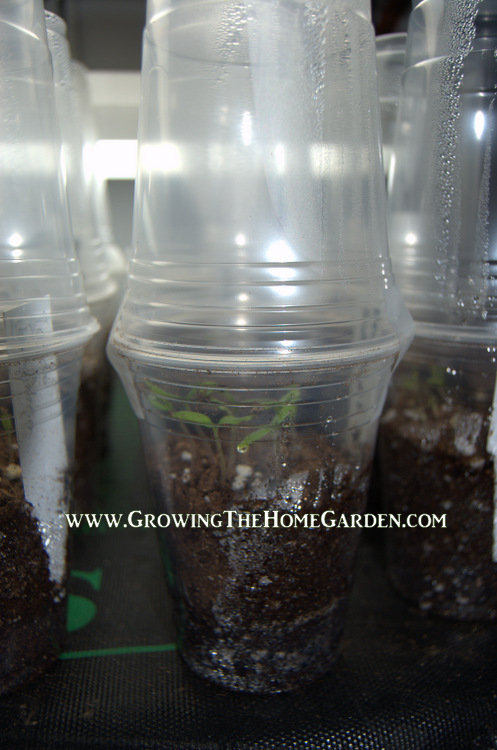 You can reuse the plastic cups over and over again just make sure you clean them between uses to prevent disease contamination from different batches of seedlings. Seed starting doesn’t have to use fancy equipment, just think outside of the propagation box! What containers have you used for seed starting? Nice job, Dave! I continue to use my milk jug greenhouses. This year I have jacks-in-the-pulpit seeds "out there!" Hope they grow!! That's a nice little tip for germinating seeds. I grow my tomatoes hydroponically in a polytunnel – in the UK the weather isn't great for outdoor tomatoes – so tend to use the rockwool starter cubes (see http://www.hydro-industries.com/2013/03/hydroponics-diary-germinating-tomato-seeds-in-rockwool/ for details) but I have also been thinking about how to germinate some of our outdoor vegetables using your method – such as runner beans. I have been using recycled spinach and lettuce containers as well as plastic clamshells that have worked great. I should have used this method before. Gardening Q and A: When to?